How to get there: The (1st) rock summit is located at North: 73 ° 15' 08.4'' West: 28 ° 34' 29.7'' . The (2nd) snow summit is located at North: 73 ° 15' 14.6'' West: 28 ° 35' 18.6'' . This is GPS measurements from the summits. 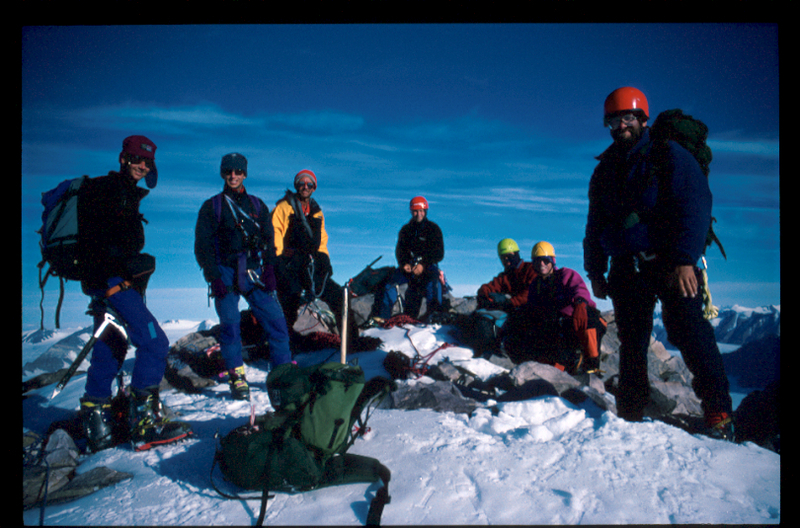 Route description: One can ski to the top of the north ridge leading to the first summit. From there it is easy to reach the rock summit. The second (and higher) snow summit can be reached after decending into the small pass separating the two tops. 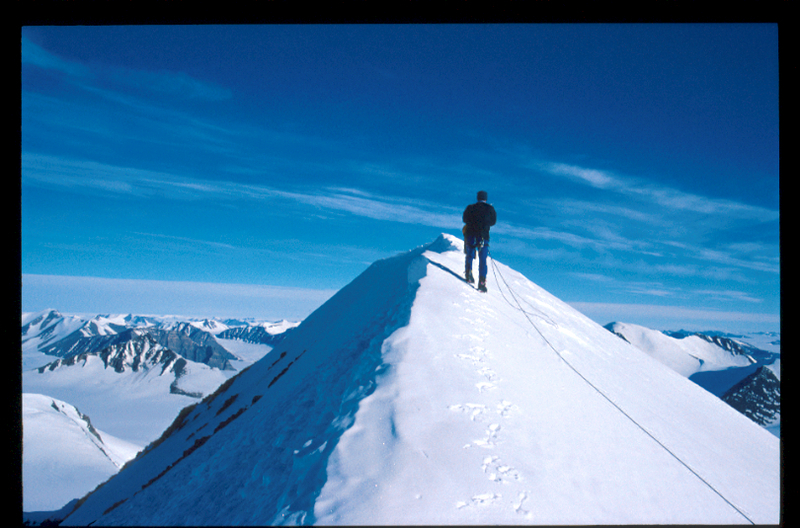 A long and fairly narrow snow ridge can then be followed to its highest point. Comments: A cairn was built at the rock summit which was measured to 2580 m. The 10 meter higher snow summit is just the highest point of a snow ridge that continues past the high point. Tvillingfjeld, the second summit is (hidden) behind. 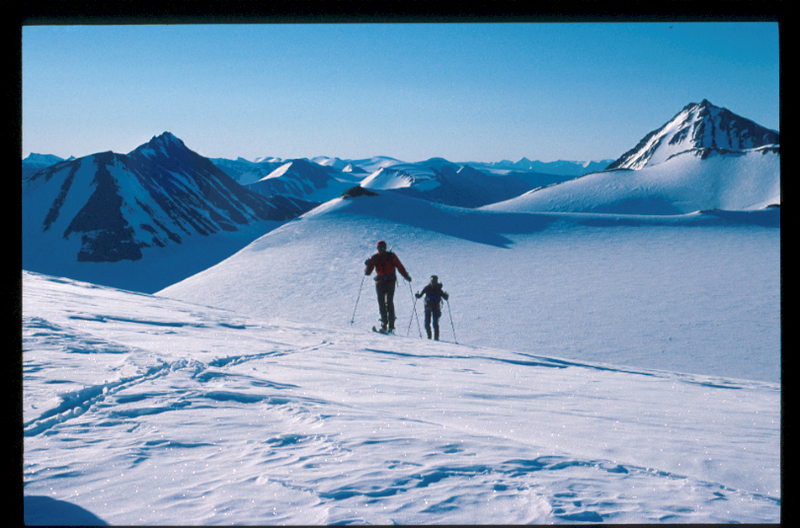 Skiing to Tvillingfjeld. MaGog (left) and Gog (right) in the background. 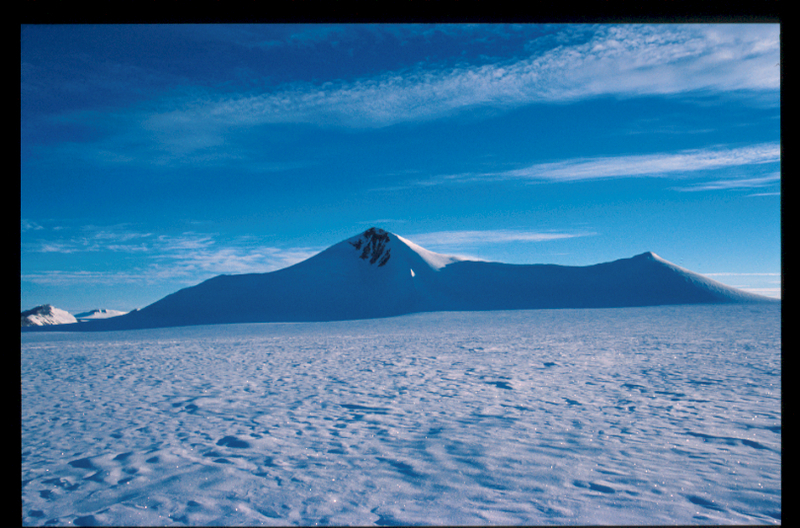 The second (higher) top of the "twin" is a snowridge.